Dell Technologies wrapped up the acquisition of EMC in the largest technology deal in history, positioning the company to use its size to invest in new areas and fend off competition from the cloud and other rivals. The combination creates a US$74bn (R1 trillion) business that serves 98% of Fortune 500 companies, Dell said in a statement on Wednesday. It also takes EMC out of the glare of the public markets as the company is privately controlled. The tie-up, valued at about $67bn when it was first announced almost a year ago, brings together the leading provider of key storage products and one of the top makers of servers and PCs as both companies grapple with rising interest in cloud-based services from rivals such as Amazon.com, Microsoft and Google. Dell Technologies plans to invest $4,5bn/year in research and development after cumulative investments of more than $12,7bn over the past three years, according to the company. Dell plans to invest in areas including products linked to the Internet of things — or the effort to connect various devices, from cars to refrigerators. The new company has 140 000 employees. 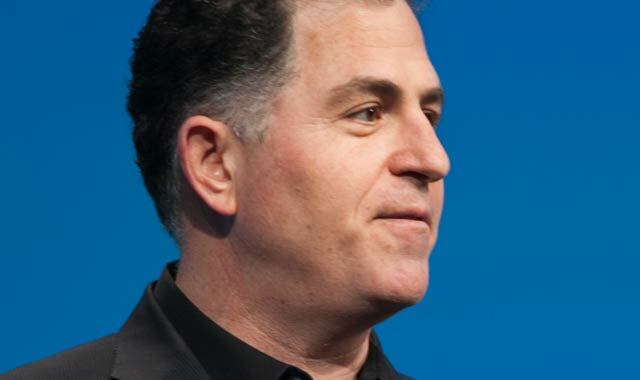 While Dell didn’t deny there could be job cuts, he said the tie-up was more about revenue growth. EMC shareholders will receive $24,05/share in cash and a tracking stock linked to a portion of EMC’s economic interest in VMware, its majority-owned software business. Shares of the tracking stock, which has the ticker “DVMT”, began trading on Wednesday.